Home » Blog Index » Blogs, Featured, Interviews, Jamie » Jon Glaser from truTV’s Jon Glaser Loves Gear! 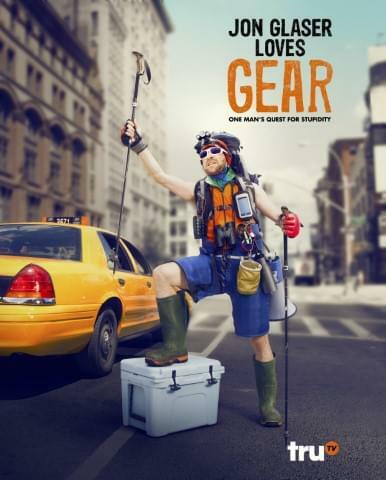 Jon Glaser from truTV’s Jon Glaser Loves Gear! 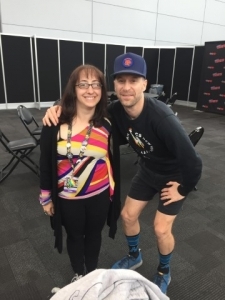 While attending New York Comic-Con, I had the pleasure of sitting in with Jon Glaser (Parks and Recreation, Neon Joe Werewolf Hunter, Late Night with Conan O’Brien) as he talked about the new season of Jon Glaser Loves Gear, coming to truTV in January 2019! In Season 2 of the hybrid scripted-reality comedy Jon Glaser Loves Gear, will Jon’s ridiculously intense passion for gear derail his television show, his friendships and his relationships with both his real and fake families? Or will Jon be able to summon the strength to find the emotional gear he needs to get through it all? Find out this season on truTV, where the only thing you have to gear is… gear itself. Jon Glaser Loves Gear returns for Season 2 in January 2019. Get more details here! Here’s what we can expect in Season 2 of Jon Glaser Loves Gear. I asked him what makes the series so relatable, here’s what he had to say.